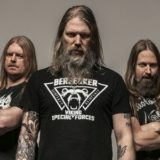 Sourvein have entered SSP Studio in Raleigh, North Carolina with Corrosion Of Conformity’s Mike Dean behind the soundboards to begin tracking their forthcoming record, Aquatic Occult. 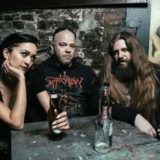 The effort is scheduled for release later this year through Metal Blade Records and will include a two-track collaboration between Sourvein frontman, Troy “T-Roy” Medlin, and guitarist “Stig” Miller of UK crust punk icons Amebix. More details will be revealed in the weeks to come.